Friday Happy Hours are some of our favorites. There is something about the end of the week that makes them a little sweeter. We enjoy sampling various locations during the happy hours, since it lets us get some extra value for our dollars. 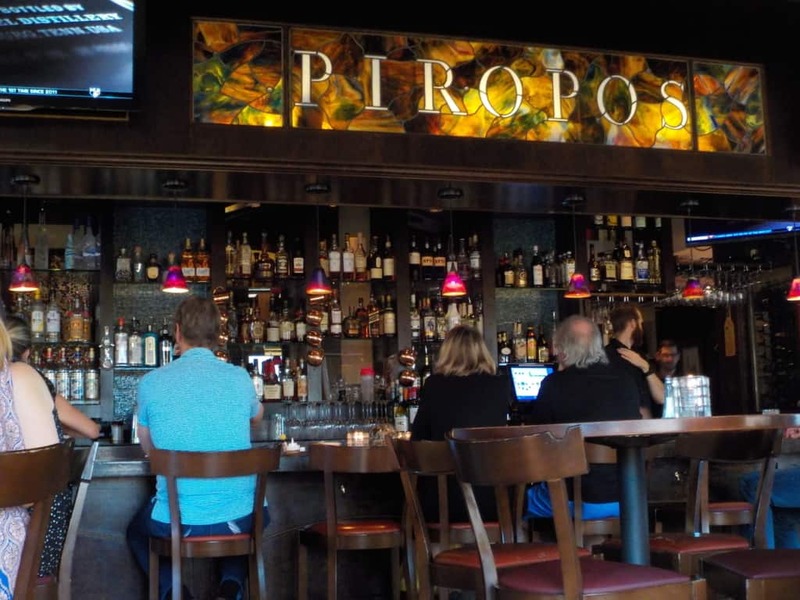 Piropos is an Argentinian cuisine restaurant located at N. Mulberry Drive in Kansas City, Missouri. 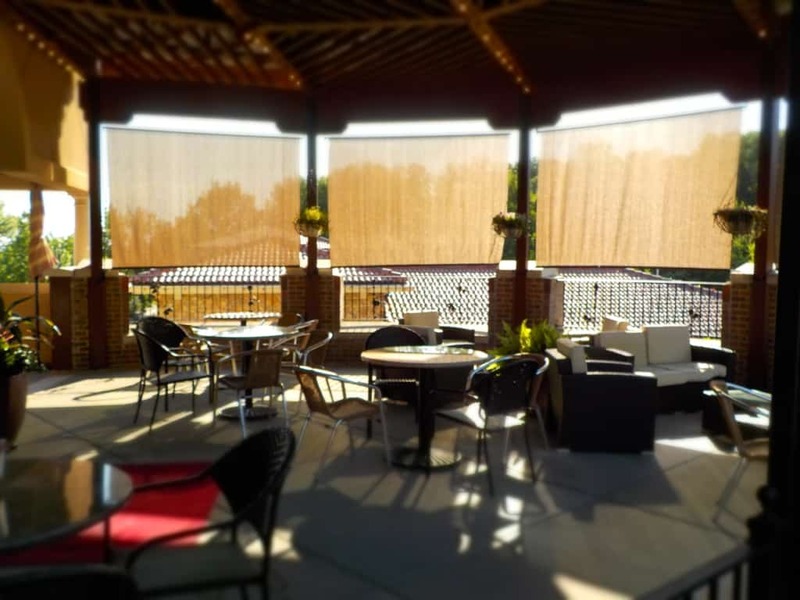 Sitting on a hillside above the Missouri River valley, this upscale dining experience offers a variety of spaces to enjoy some refreshments and delicious bites. At first, we considered kicking back on their outdoor patio. Unfortunately, the July heat had set in and the western views meant streaming sunlight. The patio is covered and offers plenty of shade, but the oppressive heat permeated even into this space. The only wise decision was to head into the nearby bar area with its plentiful air conditioning. The bar area is a mix of regular tables, high-tops and stools along the bar. We prefer a regular table, so we picked one that allowed a good view back in toward the bar. It makes for great people watching, while giving us a little privacy. 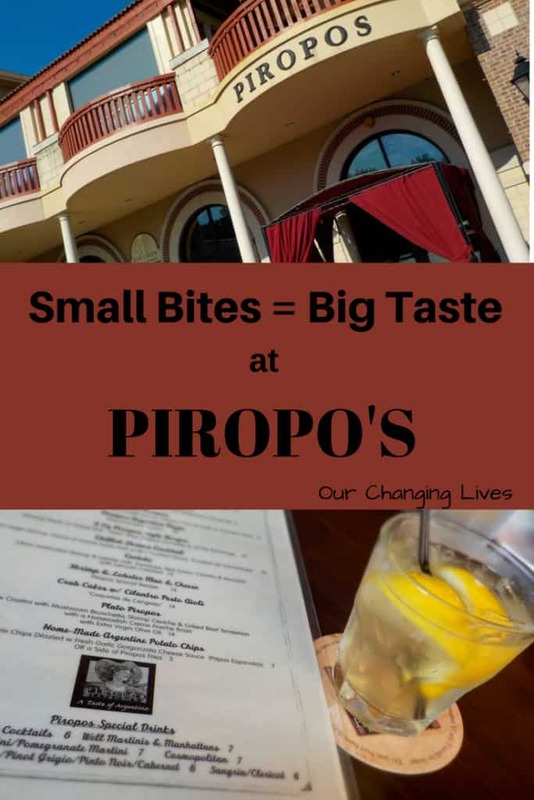 Piropos is unlike many happy hour locations and offers a choice of their dinner menu or a special bar menu. It’s not limited to just a couple of hours either. Bonus! Now we will be the first to admit that we aren’t what would be described as party people”. While we will usually order a round of drinks, that is about as far as we go. We both prefer to drink water with our meals, as it allows the true flavors of the dishes to come through. This visit I ordered one of their Gaucho drinks, which offers the refreshment of lemonade with a kick. One of our favorite style of meals is made by combining a variety of small dishes that we can share. It doesn’t take too many to fill us, and it gives us more options than just ordering an entree. 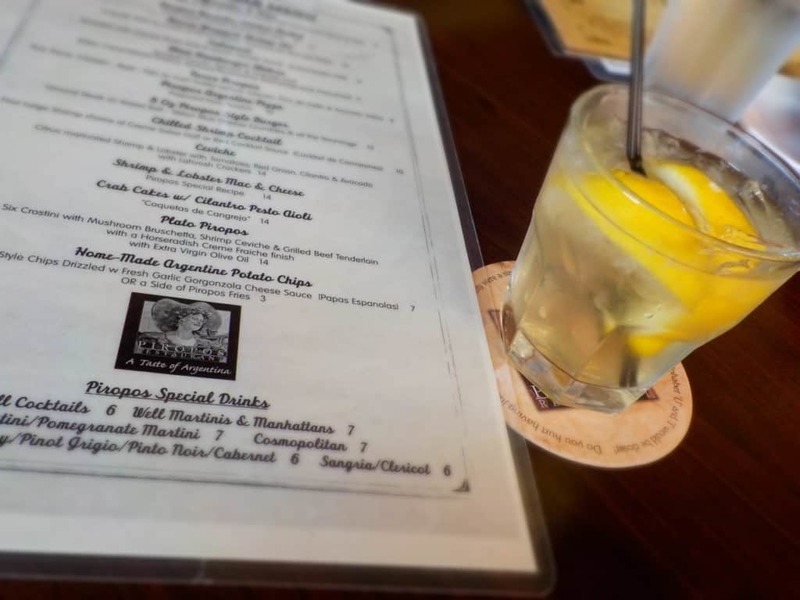 Happy hours and bar menus are perfect for this style of dining, since they usually run specials on their smaller dishes. We figure it’s the best of both worlds. We started our meal with a plate of Home-made Argentine Potato Chips. 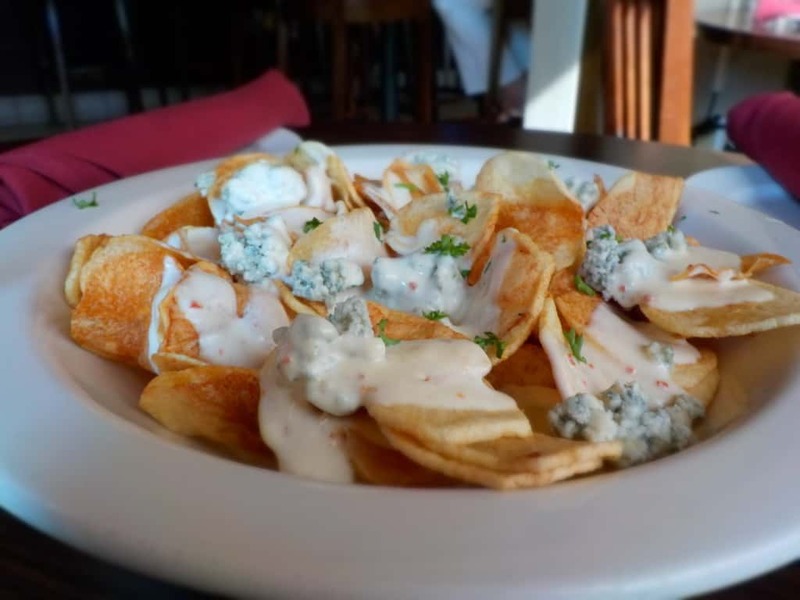 These crispy chips are topped with a garlic and blue cheese sauce that includes chunks of Gorgonzola cheese. The sharp cheese sauce is a perfect topping for these freshly prepared chips. They were so good that it was hard to stop eating them even after our other dishes arrived. Most dinners for us require some form of protein to provide that stay with you feeling. For this one we actually decided to fill it with two choices. 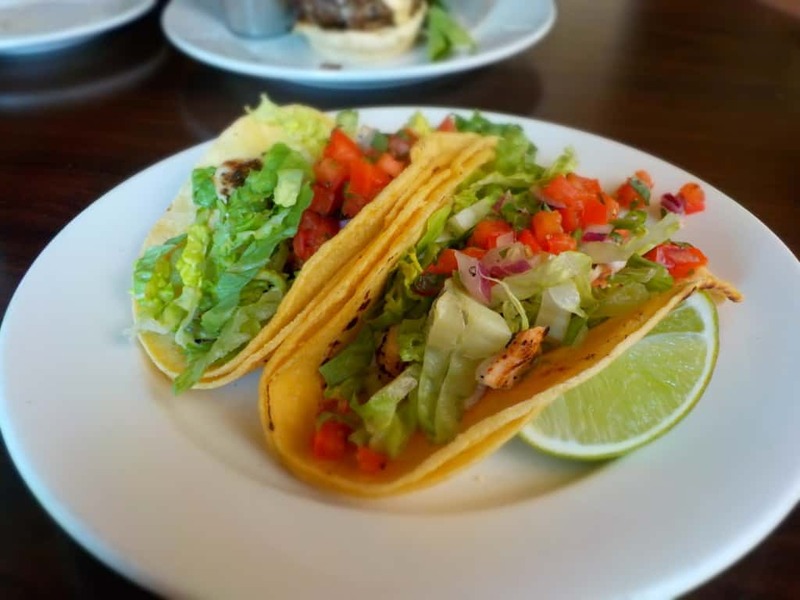 The Tacos Piropo come as chicken, beef or fish. We chose the chicken version, which has a nice bit of heat included. The lettuce and avocado salsa helped temper some of the heat, though. 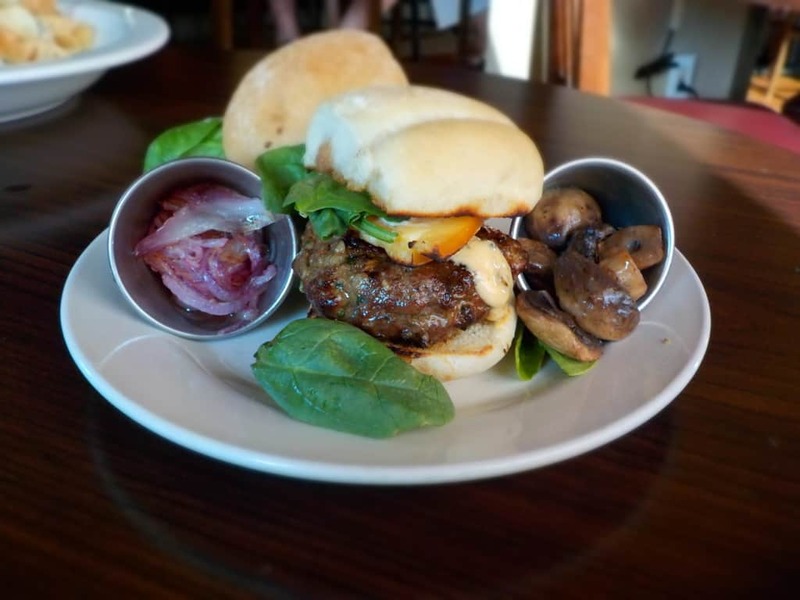 The other dish we ordered was the Mini-Hamburger Sliders. Prepared with Argentinian spices, the beef is top quality, which comes through in the texture and flavor. The pair are topped with smoked Gouda, spinach, and a chipotle aioli sauce. They even toss in some sauteed mushrooms and carmelized onions on the side. A perfect combination for a couple who each only like one of those sides. (Crystal took the onions and I snarfed down the ‘shrooms.) By the time we finished these meaty treats, we were both pushing away from the table. It once again proved to our tapas style dining offers us the biggest variety at the best value. If you enjoyed this article why not tell us about it in the comments section at the bottom of the page. We love hearing from you! Bon appetit! 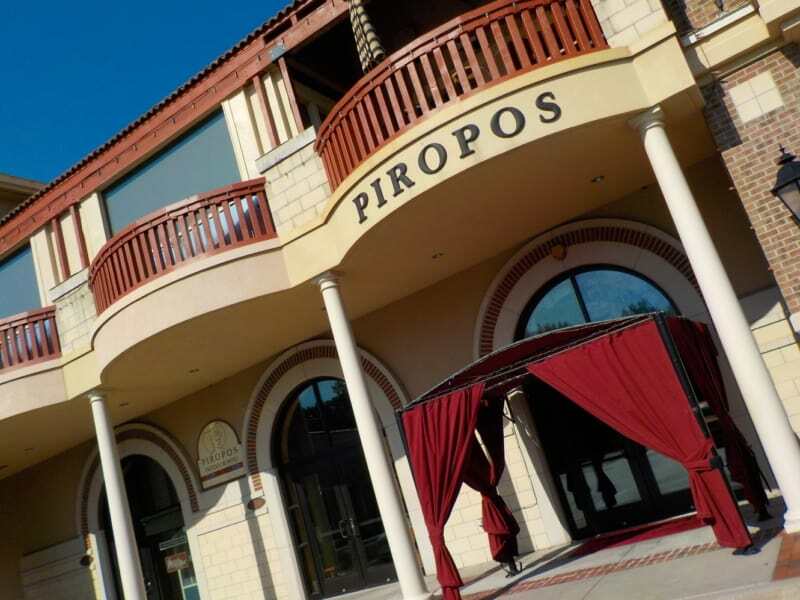 We love Piropos! But we have always eaten in the dining room off of the dinner menu and didn’t even consider the bar and tapas – but we will! Thanks for the information! BTW, our very favorite meal on the dinner menu is pricy, but I think it may be the very best meal in Kansas City – it is the Filet with peppercorn sauce, garlic mushrooms and the best potatos au gratin I’ve ever had. We have never sampled their Filet, but it sounds exquisite. Thanks for the suggestion!